After months of searching, Marvel Studios and Sony have finally found their next web-slinger: 19-year-old British actor Tom Holland. THR had an early report on the news. Holland will make his debut as Peter Parker/Spider-Man in next year’s Captain America: Civil War, and will get his own standalone movie set for release July 28, 2017. That film will be directed by Jon Watts (Cop Car). Holland beat out other actors such as Asa Butterfield and Charlie Rowe, and will take up the role that has previously been held by Tobey Maguire and Andre Garfield. However, it’s clear that Holland’s Spidey will be entrusted with a much greater role as he will be a part of the Marvel Cinematic Universe and will eventually team up with the Avengers. It’s great that the casting has finally been announced, and now we can look forward to seeing Holland next year. 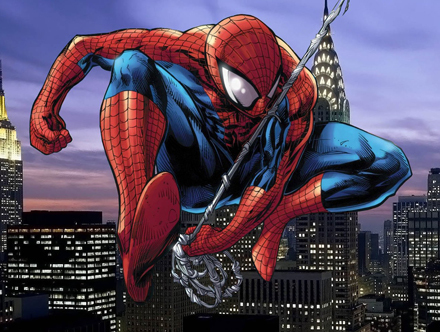 Hopefully, with Marvel Studios involved, this Spider-Man will be around for the better part of a decade and make us forget the last two big-screen films he appeared in.